We offer great rates and a free truck rental with a new move in for just a $15.00 gas charge. You will be allowed 50 free miles and up to 4 hours to help move in your belongings. Call the office immediately to schedule a date to reserve the truck so it is convenient for you with in the first 2 weeks of storing. There are several advantages with renting with us! A few are our 24 hour security system, longer gate hours which are from 6am-9pm every day of the year, high ceilings in each unit, month to month contracts, you will have your own gate code and each unit has a security alarm. **The office is closed on All Major Holiday's, unless stated otherwise. **Office hours may be shorter through November and December **All reservations subject to change based upon availability. **A reservation does not guarantee a specific storage space nor does it guarantee a space upon arrival. **Customer must sign a lease to be guaranteed a storage space. **Proof of insurance is required at the time of move in. If you are not able to furnish proof of insurance, our base-level will be applied to your monthly rent, as per our rental agreement. All prices include base level of storage insurance coverage as required per rental agreement. Higher insurance coverage levels are available upon request at lease signing. 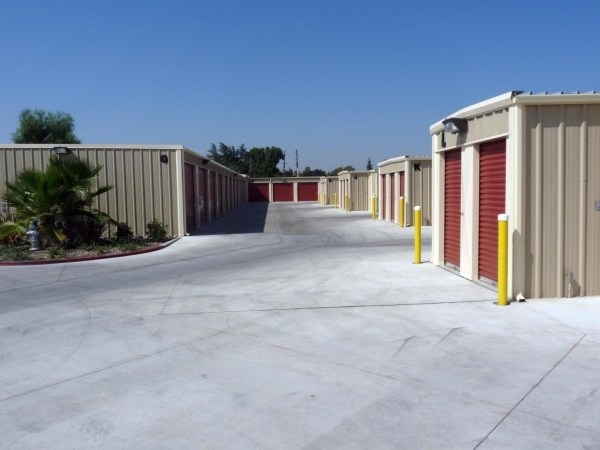 Great place for a storage and reasonable rates! I enjoyed the size if the unit i got. Everything fit oerfect. Especially loved the great customer service i recieved. Price was not as advertised. My only hang up was that I paid almost double the advertised price for a 5x10'. Otherwise everything went smoothly and I was able to move in two hours after signing my lease. Great place! Really great staff!! Really GREAT staff and very professional as well. I've nothing but positive things to say about staff and the facility,which is clean and feels safe. Staff was great. Online service was as expected. Easy and no surprises. Nice clean, new looking facilities. Staff was pleasant and organized when i came in to rent. Booked online and they had my paper work ready to go!! Nice Work. Small but efficient i prefer this setting over a big cooperate business. The ladies,there were very helpful and friendly . I've been with mayfair storage before.and every time they been very friendly and helpful. They explain how every unit goes for and the prices were reasonable. I would recommended Mayfair to friends and family. Very clean...and safe...stays open until 9:30 amazing!!! Customer service was awesome!! The storage facility is extra clean...they have a truck you can rent and they allow access until 9:30pm makes it so convenient!!!! I would recommend this place to others. The property was clean and the staff was friendly and helpful. Very easy access in and out. The property was clean and the staff was friendly and helpful. Only 1 young lady at front desk trying to handle rentals, check-ins, showing units, check-outs, pmts, phones. We paid for unit and returned 1 hr later with first load to store. Our gate code didn't work. Sign on door said clerk would be back at 1:30. We went to lunch, returned 1 hr later to sign that now read, clerk will he bck at 4:15. When we finally got in we found 10x10 unit was to small. Did paperwork to get 10x20 unit. Opened the door to find it was also 10x10. All units in that isle were 10x20 in computer but were actually 10x10. No 10x20 were available so we got 2 units. Finally unloaded at 4:45. Clerk gave us extra 30 min of moving truck use. We rushed to get 1 more load and barely made it back in time to unload and return truck by 5:30. Truck was not available for our use next day. SOOOO much inconvenience and wasted time! Nice staff. Was upfront with all the charges. The place was really clean and well kept up. Great Customer service! They made moving my stuff in very easy. Staff was friendly, office very clean, cheapest I found. Great deal through selfstorage.com, especially is AAA member. Rented a few storages in past, this is by far the best, especially over Derrells mini-storage. The location was very convenient and the rental price for a 10 X 10 is unbeatable ($69.00). Although the there was some technical difficulty with my entry code, the staff was very helpful in assisting me during my "move in." 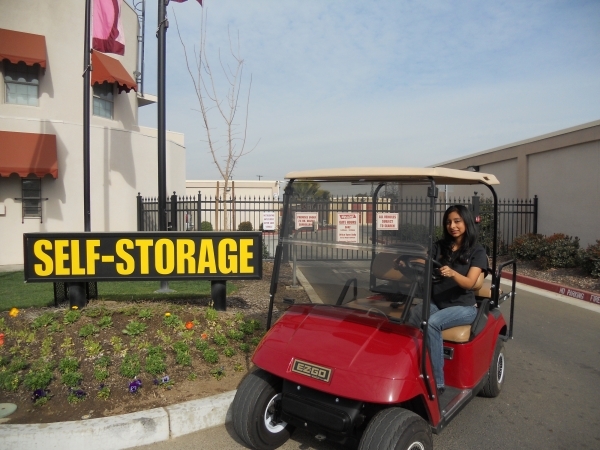 I highly recommend Mayfair Self Storage to anyone looking for a friendly staff and affordable storage units. I am very pleased with the facility. The staff were very nice and helpful. I would recommend this place to others. Even let me use moving truck .Great experience. The surprise extra $8 a month for insurance was annoying. The website that I use to reserve the spot didn't mention an extra fee. We value our customers and try do everything we can to help and make the transitions easier when moving. Thank you for being so understanding even during stressful moments. Thank you for your business. M my experience with this facility was excellernt. I have been using other storages and I had not very good treatment. Mayfair employees were very helpful in a very difficult situation and I am very gestful. I highly recommend them for. anybody Storage neefs. A safe, affordable and friendly place! My experience with Mayfair Storage was spectacular! I would store there again and I would tell anyone I know to do the same. They were so friendly, helpful, and efficient and the security is unmatched! Thank you Maribel for your patience ! Please, contact us whenever we may be further assistance. 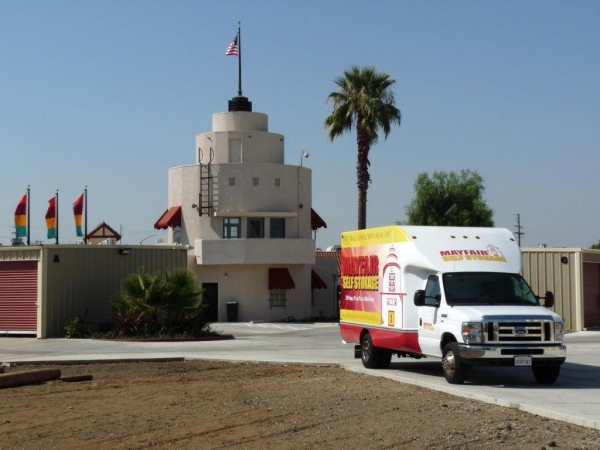 Convenient location, excellent service, moving truck available too! I received a welcome call from the company which I appreciated, when I arrived to rent my unit a week later, I was told of all the options available to me including a moving truck! Coffee and water was available in the office along with friendly staff who explained everything I needed to know! Great, Great, Great, no complaints, very nice and friendly and helpful!!!! All in all it was a good experience. I would definitely refer this place to all friends and family. The process was quick and painless 3 or so and I was out the door and they gave me a gift just for signing up with them. It was a great experience. The office staff was very nice and helpful. The facility is neat and clean. Use of the free rental truck was a bonus. The girls at Mayfair were so nice and understanding. I had a special situation, and they were very compassionate. They made my move as easy as possible, and I am very thankful. I am a college student and was looking for a storage unit because im moving into the dorms at Fresno State. When I went to Mayfair I noticed that their facility was cleaner then most of the other self storage places I had looked at and they had student specials that no where else had even mentioned! They have a move in truck which made it SO much easier to move all of my belongings there! All in all I was very impressed with them and i felt more like a freind then just another customer. I am a business owner and i was storing all of my supplies and tools at a Derrel's. I noticed that there was a storage facility closer to my store and house! When i went it i knew exactly what i wanted and told the girl at the front desk! She told me how much it was and showed the unit to me. I didnt want to pay as much as she said it was so i asked if she could work with my price and she said she would, I was able to get exactly what i wanted! Now im telling all of my friends to go rent from her!